p(blue). This article is available by subscription only, but Sustainable Food News has graciously given us permission to re-post it below. 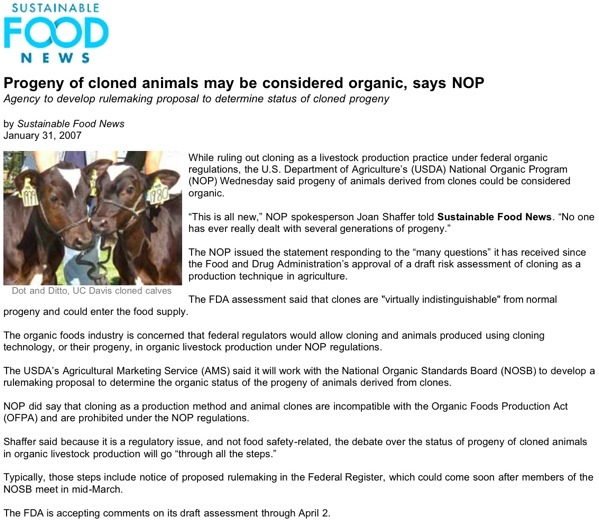 or you can return to the the original [%content /read/sift/The+clone+stampede "Sift" newpage=false] article about cloning.